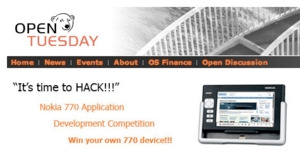 I’m surprised nobody has mentioned Open Tuesday’s Nokia 770 Application Development Competition on Planet Maemo yet. The winners will receive a Nokia 770 device. Application development competition sounds like actual app would need to be developed, but reading the rules it seems just an idea is enough. While I already have a 770, this could still be a good opportunity to hash out my ideas for Nokia 770 as the real hitchhiker’s guide. 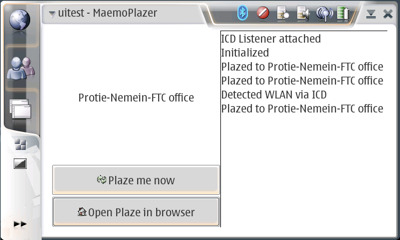 Via Finnish Centre for Open Source Software.